Whether you like it in your pasta, risotto or even eggs, there is no doubt that the truffle is one of Australia’s finest delicacies. The popularity of the truffle has soared recently, with Australia becoming the fourth largest truffle producing nation in the world. To further share the love of the truffle, Truffle Melbourne is coming to town this month. With culinary experts such as Manu Feidel, Shannon Bennett, Guy Grossi, Shane Delia and Philippe Mouchel lined up to share their tips and techniques, this is one foodie event not to be missed. You’ll have the chance to meet truffle savvy dogs, discover truffle serving food trucks and master techniques for creating indulgent truffle dishes at home. 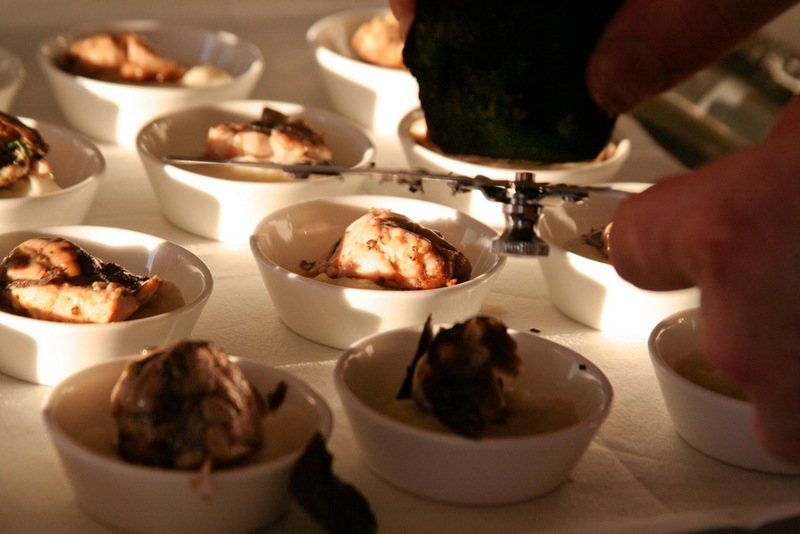 Whether you’re looking to taste, hunt or learn about the truffle, there are plenty of options to get involved at Truffle Melbourne. Visit www.trufflemelbourne.com for the full program guide. Truffle Melbourne have kindly offered Lisa Eats World readers/followers a chance to win one of two double general admission passes to the festival. The lucky winners will have access to the festival, celebrity chefs and meet artisan producers. Each winner will receive a double pass for either Saturday or Sunday. The tickets will be held at the ticket box for collection on the day. Yum! I love truffles but have only eaten them a few times and have never cooked with them. Enjoy the festival, sounds like fun – wish they had something like that in Queensland. My favourite is pretty simple – shaved in pasta! Maybe they will come to Queensland next year. At least you have better weather over there 😉 freezing in Melbourne today!